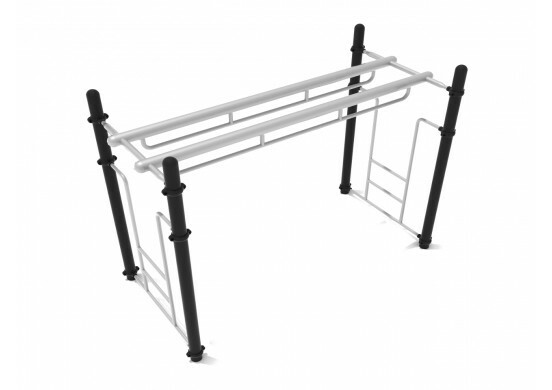 The Curve Rung Horizontal Ladder is a variation of the classic overhead ladder with a slight turn. 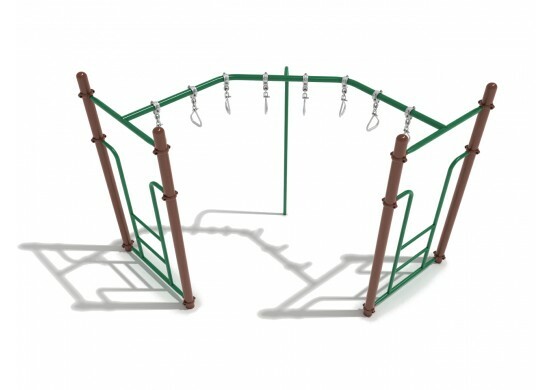 This is an easy climber which is made to be enjoyed by children of all ages. The curving shape gives this structure a dash of extra personality. It also allows the users to see more of the surrounding area as they climb, and makes the Curve Rung Horizontal Ladder feel differently when crossed from either direction, since one hand will have to reach farther. Luckily, the structure has entrances with convenient step ladders on both sides, allowing kids to turn right back around and climb the other way after completing it. To help support the curved shape of the overhead ladder, there is an additional support post holding up the outer apex of the curve. 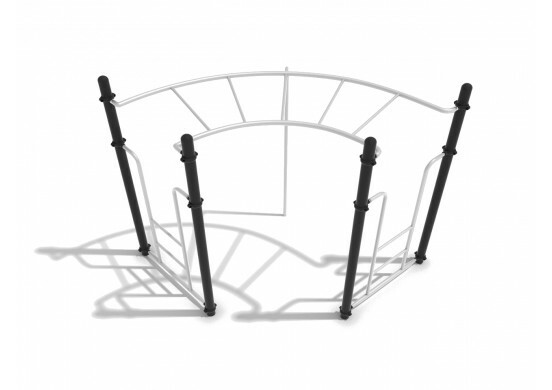 The shape saves space, and even makes the structure look better when installed in the corner of your play area.